S&A uses a customized approach to support growth and higher profits. S&A produces actionable results that improve performance. 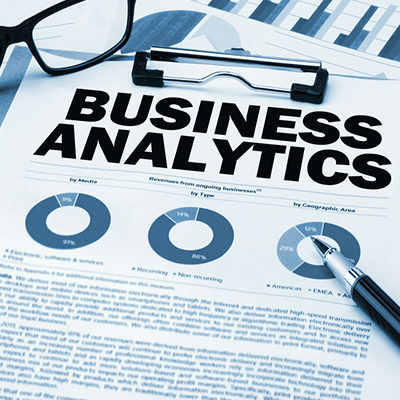 We use business intelligence to capture insights hidden in unstructured data. S&A uses technology to help you achieve your workforce goals. Even with great tools, data mining and analytics are challenging. Starr & Associates (S&A) understands how to use industry-standard software and practices to create evidence-based strategies for building more efficient, responsive, competitive, and customer-focused organizations. Many of our clients are in private or public industries where end-customer satisfaction is critical to marketplace success. To optimize the customer experience at these organizations, we use our expertise to explore data stores and key processes. Through analysis and observation, we assess your employees and technologies and identify opportunities for improving workflow efficiency, performance, and effectiveness. As business intelligence deepens, so does our ability to solve complex problems and form fundamental strategies that drive business decisions. With that, risks become less risky, opportunities become more abundant and the inevitable incorporation of technology means more information that will consistently and certainly lead to larger gains in efficiency and profits. Calling: Enables the understanding of enterprise strengths and gaps that propel them toward their calling. Capability: The enterprise must evaluate its current capabilities and identify strengths and gaps that propel them toward their calling. Capital: May determine transformation feasibility, options and/or time frames. Culture: A transformation plan that addresses culture is only as good as the people that must execute it. Starr Associates provided my company with extremely helpful advice and common sense business planning for growth. I'm looking forward to seeing the benefits of the implementative tool that has been put into practice. Starr Associates meet with our business with a fresh pair of eyes and listened intently to our frustrations. Starr Associates was able to see opportunities from a fresh perspective and offer help and advice. Field service management has always been challenging, as you rarely know exactly what's happening when your personnel are on the job and interacting with customers. This can introduce a great deal of variability in service levels, which doesn't always lead to great customer experience. From system inputs to scheduling, see how the structure of Six Sigma or lean manufacturing can be leveraged to provide efficiencies and improve service for field staff.